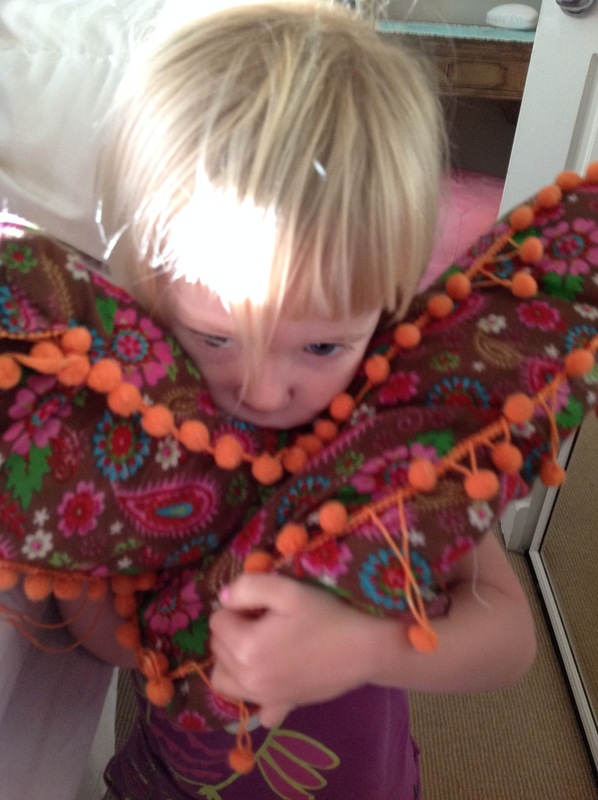 Hazel woke up and climbed into my bed, before my eyes had even opened, with Violet’s tasseled “V” pillow. I stretched, sat up, and then she began touching each orange tassel. “This is the Mama….this is the Dada….this is baby Hazel Jean….this is Auntie Shannon…this is the t.v…….this is the remote….and this is Dumbo”. I’m glad we’ve created such a tight, healthy tassel-ball family in her mind. Interesting that the remote made the cut… but not Violet. My experiments failed, my apartment is a disaster and my refrigerator is empty except for a britta with an expired filter, but I made it into The Family Tasselington, and ahead of the tv! Today is a good day.